Give the gift of freefall! It never sits in the closet and it’s the gift they’ll never forget! Give Mom a gift she’ll never forget–her first skydive!!! And save $40 on first-jump gifts through May 8 with coupon code Mom2016!!! 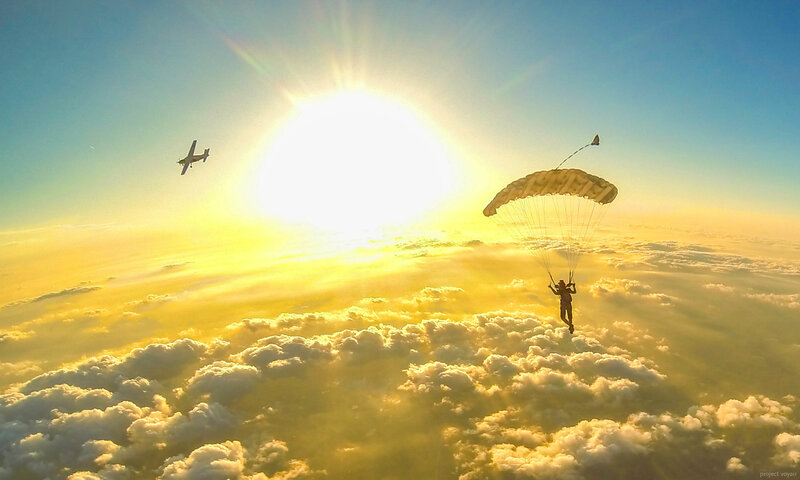 A Tandem skydive adventure is the free-falling thrill of a lifetime! Almost anyone 18 years of age or older can enjoy a tandem skydive–it’s great for all the adults on your list! 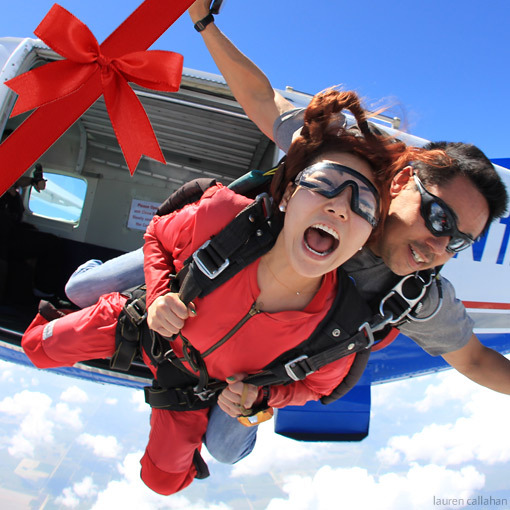 Our Tandem Skydive Gift Certificate can be used any day of the week. Jump out of a perfectly good airplane from up to 14,000 feet! Don’t forget to capture their tandem skydiving adventure forever with our professionally edited DVD video of the jump, plus high-resolution photos! Our experienced videographers document the skydive so you can all relive their experience of a lifetime for only $139 plus tax. 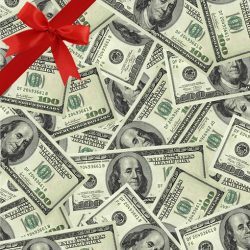 Note: Gift certificates’ cash value never expires! 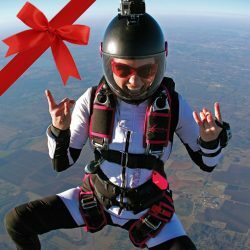 And we have lots of other gift options for skydivers-in-training and experienced jumpers! Tandem skydivers must be at least 18 years of age, bring a valid photo ID, and weigh less than 280 pounds. For more information about who can skydive, what to wear, and more, please see our Frequently Asked Questions page. See how much fun they’ll have!